BOSTON, Mass. and WASHINGTON, D.C. – The Section 201 solar tariffs took a toll on utility-scale solar installations in the third quarter according to the U.S. Solar Market Insight Report for Q3 from Wood Mackenzie Power & Renewables and the Wood Mackenzie Power & the Solar Energy Industries Association (SEIA). The residential market, meanwhile, continued to stabilize after a down 2017. Overall, the analysts expect 2018 growth to be flat. For the first time since 2015, quarterly additions of utility-scale solar photovoltaics (PV) fell below 1 gigawatt (GW), highlighting the impact of the tariffs and the uncertainty surrounding them in late 2017 and early 2018. 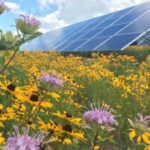 As a result, the U.S. solar market was down 15 percent year-over-year in the third quarter of the year, but the report notes that a strong project pipeline lies ahead. Continue reading here. 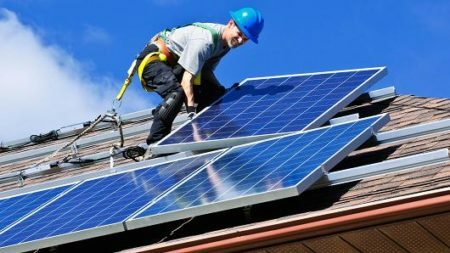 A new analysis by Credit Suisse forecasts that installed residential solar capacity in the United States could grow more than 3x to reach 41 GW by 2025, and shows that there is plenty of space on rooftops to do this. After decades on the diamond, he’s making solar energy his new field for competition. Soft costs of solar: The final frontier of utility LCOE reduction? In this op-ed for pv magazine, KiloNewton Founder and CEO John Williamson looks at both the importance of reducing soft costs and the likely paths to get there. 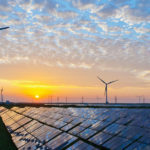 A new report from research and consultancy firm Wood Mackenzie predicts more than 680 GW of new wind power capacity to come online globally over the next decade. 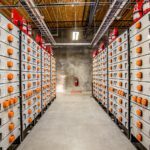 U.S. energy storage project pipeline hits 32.9 GW this year, Solar Power World. The pipeline for energy storage projects in the United States doubled this year, ballooning to 32.9 GW, according to the latest U.S. Energy Storage Monitor from Wood Mackenzie Power & Renewables and the Energy Storage Association (ESA). While not all of the projects will come to fruition, this is a clear signpost that developers are bullish on energy storage. The report’s free executive summary is available here. Evanston Is First Illinois Municipality To Commit to 100% Renewables, North American Windpower. This commitment means that Evanston is the first municipality in Illinois – and the 102nd nationwide – to establish a goal of transitioning to 100% clean and renewable electricity, the Sierra Club says. AT&T Harnessing the Strong Winds of Renewable Energy, Renewable Energy Magazine. 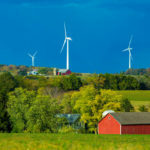 Despite dire headlines suggesting the United States has turned its back on the clean energy revolution and the battle to confront climate change, corporations in the country are on a pace to complete 5 GW of renewable energy purchases by the end of the year. 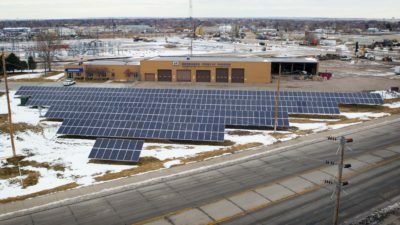 Boulder County is home to almost four percent of the cities nationwide that have committed to 100 percent renewables. In this latest version of the Suncast podcast, PV Magazine Americas Editor Christian Roselund talks about the feasibility of the 100% renewable electricity targets being. NREL highlights DER aggregation project challenges, American Public Power Association. A new study by the National Renewable Energy Laboratory identifies challenges and makes recommendations for utilities implementing distributed energy resource (DER) aggregation programs. For the study, Expanding PV Value: Lessons Learned from Utility-led Distributed Energy Resource Aggregation in the United States, NREL analyzed DER aggregation programs at five utilities. In Minneapolis-St. Paul, the days of diesel buses may be numbered, Midwest Energy News. 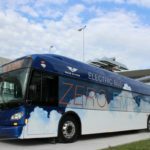 Metro Transit officials have have committed to add as many as 125 electric buses over the next four years, after which they may stop buying diesel buses altogether. The multi-year strategy comes two months after clean energy advocates successfully pressured the agency to suspend the purchases of new diesel and hybrid buses so that it could study the potential for electrification. 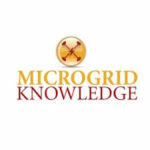 A new Homeland Security report calls for creation of microgrid-driven community enclaves as part of a larger safety strategy should the United States experience a catastrophic power failure. Surviving a Catastrophic Power Outage finds the nation outmatched by an outage lasting weeks or months. NPPD eyes hydrogen as conversion fuel at coal-fired unit, American Public Power Association. NPPD plans to change Sheldon Unit 2 near Hallam, Nebraska, from coal to hydrogen between 2021 and 2023, according to John Swanson, NPPD’s generation strategies manager. The hydrogen will flow through a pipeline from a facility Monolith Materials is building across the road from the generating unit. to manufacture carbon black, which is used in tires, cell phones, computers, wiring, etc. The process to make carbon black produces hydrogen as a by-product. 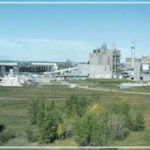 This entry was posted in Nebraska / Midwest News, NewsBlog and tagged 100% renewable energy news, aggregation of renewable energy projects, Community Choice Aggregation Programs, electric buses, energy storqge, global renewable energy growth, microgrids, Nebraska Public Power District (NPPD), Nebraskans for Solar NewsBlog, NPPD's, Sheldon Unit 2 near Hallam, soft costs of solar, Solar Energy Industries Association (SEIA), U.S. renewable energy growth, U.S. 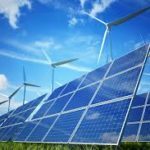 Solar Market Insight Report for Q3, Wood Mackenzie Power & Renewables on December 13, 2018 by Helen Deffenbacher.